Following the success of the first Grimsby Jazz Prom, organiser Gill Wilde is to host another event featuring another youth jazz outfit, Phase 2 Orchestra. On 19th November, saxophonist Stuart MacDonald will lead some workshops with the young musicians, culminating in a performance with the 30 musicians at 7.00pm. Afterwards, Stuart will take to the stage with his own band from 8.30pm featuring Thom Whitworth, Warren Jolly, John Perry and Pat McCarthy. 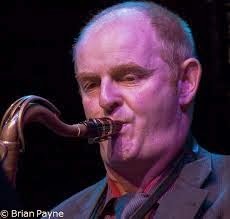 For more information, visit Grimsby Jazz website.